once more I am happy to inform you that the Rose Developing Team opened the Pegasus Testserver for all players to improve upcoming Patches and planned changes! For this all you have to do is downloading and updating the Pegasus client from the link below! Especially during Server Maintenance this would be the perfect opportunity for us all to explore a parallel universe! The Pegasus data is based on your character but might be outdated, so don't be surprised if you miss items or levels there! On the bright side you have 24 hours of free resets there to test every aspect of Rose to give me proper feedback! We want to involve the community into upcoming changes to make everyone happy about changes, even if we obviously can't make everyone happy! Just to clear things out, this thread is not suppost to be a discussion platform - I will use this thread to summarise it and send my (our) recommendations forward to the developing team! Now, after everything is said I really hope everyone who is reading this could invest some hours of his or her time to help us improving game joy! Please be also aware that apart from mechanics which get tested on Pegasus actual game content won't be able for public testings yet. I wish you a good day and enjoy Rose! Edited by iMatt, 01 October 2015 - 09:14 AM. i have to create an acount? All you need is to download the Pegasus game client from the link in the first post. The data was taken from the live server on a certain date (I believe around 2 weeks ago). Your game accounts on Pegasus will be as they were on the live server on the date the data was taken. You log in as you normally would log in and your inventory, storage, gear etc will be the same as it was. If you have any questions, feel free to pm me and I will be glad to help. I've downloaded the Pegasus file and tried to install but have a query. On running the install file it asked where to extract to, so I said to the folder that the file had been copied to. It then extracted and the folder filled with the data etc - but there is no link in the Start program menu to start the game running. I have to go into the folder and run the actual file from there. Does this mean that whoever sorted out the new Pegasus file hasn't set it up properly or is this how we are now supposed to run the Pegasus version of Rose? No, it just means you didn't tic the option on the installer to add a desktop link. just locate the patcher for pegasus, right click it, and 'add link to: desktop'. there you go. Pegasus data was updated today during maintenance, with a new patch of adjustments based on various feedback, and our wishes to test a few additional changes based on that feedback. Cooldowns were not changed from the last update. To explain myself why those were done, it is to make use of skills have more thought behind them instead of just using them all in sequence. If you do, you have a higher chance of running out of skills to use, essentially you exhausted yourself and your payload up front. We still have some balancing to do with some of the status effect strengths, and duration. Shorter duration should mean, a stronger effect, but I may not have gotten around to it, so please feel free to question skills with weak effects, if it has nothing else to offer. If it's a combat skill, mostly its not intended to be an effect that suppresses your target, or should, indefinitely, and only helps sway the outcome of combat from its use. One thing to note is that only the combat skills should have been really given the increased cooldowns. Skills that only supply a status effect, should not have been changed, if they were, there was likely a special reason related just to that skill. Otherwise, the fact that a skill does damage, makes it a 'combat' skill, by my definition and use of the term. Previously it was set to 2 Charm = 1% as a test. We'll test this rate to see if it still places buffs out of intended design, and find a middle ground if necessary. 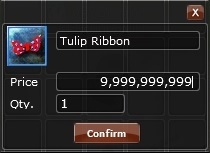 Perhaps something like 1 Charm = 0.75% instead. Also Charm or stats still do not affect Stat Buffs, this is currently and very likely going to remain this way, because as we see it, it's a simulated level gain to have stats added in such a way. Releasing the passive skill requirement that causes the skill to have a high Skill Point cost to obtain, further assists with our decision to keep this skill flattened in this manner. It's no longer 15 Skill Points to master, but 5. Critical Defense was reduced in its generation from 1 Charm = 1 Critical Defense Rating, to 2 Charm : 1 Critical Defense Rating. Attack Speed has been updated to display differently now for weapons, and on the Character menu. On the Weapon Tooltip, it should now display the base attacks per second, the weapon provides. Attack Bonuses still use a percentage based increase, but will now show the total bonuses in the tooltip, if you hover over the Attack Speed value. Attack Speed bonuses on equipment were set back to either their old values or better. 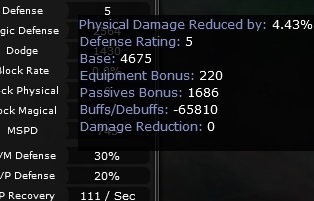 The total amount of attack speed that was being given through gear, was not enough to warrant the reduction's given. Skill Passives were also restored for many attack speed bonuses, only selective skills were given reductions. And last but not least, we've implemented our first efforts to accessing the Junon Cartel, same as you would for the Training Grounds, but there should be a new option to enter the Junon Cartel. The Junon Cartel is strictly intended to be a PvP zone, that fully simulates the Game Arena restrictions of item use. There will be nothing more done in regards to this area, to give it additional rules, as that would defeat the purpose of its intention. If you want to have matches that simulate the conditions of being in a PvP Mode from the Game Arena, this is where you can do it. If you wish to have a 'no rules, no restrictions' area to PvP, the Training Grounds is still your place to go.. So attack speeds were put back on weapons without any considerations to skill classes [which is the only effective way to play dungeons] I'll give it a test, but I have a feeling the results will still be the same. As for the rest, interesting. I like seeing the attacks per second. That should help in dps calculations. Swords have always been faster than maces so those values need to be adjusted. The katar nerf probably explains why some attack speed was given back as they scale the hardest with attack speed. Personally I prefer these buffs. The higher percentage should highlight strengths and weaknesses of builds more, but that's just theoretical feedback I'll have to see. It seemed as though the intention has been to make buffs weaker overall, so hopefully it's only the strengths of builds that are reaching strong stats. Edited by DoubleRose, 02 October 2015 - 07:36 AM. it reduced my champs def to 5. Edited by Xost, 01 October 2015 - 07:58 PM. PvM is still unable to be properly tested until we can somehow imbue our weapons for elemental damage. all auto attacks are basic, which only deal 100% damage to 65% damage, and have no advantages [110%]. There's also a vrey large lack of elemental skills ironically for those same classes. We've done more testing since today's patch [10-1] and something have changed, but this one hurtle is still hugely preventing proper testing. Also ammunition isn't set to elemental yet? Thx Feuer I'll try that out now. One thing I have noticed though and if you can help it'd be great. While looking at why the link etc hadn't happened as it had previously, I noticed while looking that if I had to uninstall the program that the control panel didn't have Pegasus in the list of installed programs??? I had 2 iterations of ROSE one was properly flagged as Pegasus. Thx, and I've done the link to the desktop btw. I may try reinstalling as well later on as I haven't got Pegasus showing in the list as in your screenshot, so maybe something glitched when it installed or maybe because I'm on Win7 just not sure atm. With regard to just running the installer mine does not give an option to uninstall as you say - it only says to extract, it extracts it then theres only the files in the folder after extraction. No other options appear anywhere. I've also tried right clicking the install file and nothing there either to uninstall. I've used that CCCleaner before in the past for other programs that won't uninstall properly etc so will do that as you suggested. With regard to the attack speed stat etc on weapons that others have talked about, I notice that the attack speed from the gear worn isn't showing in the stats window - only the weapon speed shows (also the text doesn't fit the boxes etc but as that's just a visual fault and will probably be sorted out to make everything fit and look nice it's not that important atm). But is the attack speed stat on the weapons and the gear adding together ingame or is it only the weapons stat that works? No the totals are indeed displaying, sometimes it's 'glitchy' but it does factor in your passives and Equipment. You can verify this by equipping the weapon, then equipping an aspeed heavy set and see the changes update in your character sheet display. Though these 'glitchy' things may provide weird totals or be confusing at first. Just so everyone knows, if you are not comfortable with posting here, you may contact any class rep. We can forward your ideas, suggestions, and complaints to the proper people. This is a very nice thread, good idea! Well that's certainly not intended! I might have typed one too many zeros. I'll have that fixed up for the next Pegasus patch. Update: That is supposed to be 10% that is able to be influenced by stats. I am aware of that, and working those means in, are still being created. The focus has largely been more mechanical with the balance aspect of buffs and combat. Basic type attacks have no benefit over any element. We'll have to check on the elemental properties of ammunition, whether its been set or not, and if it has, if the display is showing properly or not, as well as if it's working or not. It doesn't use a proper installation client, it's just self extractor to a folder of your choice. So yes, you can just delete the folder if you want to "uninstall" it. Test it soon, I am going to make a patch before the weekend hits. I already tested it, it actually isn't as big of an impact as I'd suspected it was. It made a difference sure, but meh not what I'd hoped for. Go ahead fix it whenever. I really like the addition of commas as well as prevention of leaving the price entirely blank. Edited by kumpiakot, 02 October 2015 - 12:08 PM. Some minor adjustments to the Attack Speed UI display and terminology. Element Scrolls have been added to the Valor Materials Shop, under Consumables for testing purposes. Reminder: Elements can only be granted to a Weapon or Body Armor. Known Bug: The Element Scrolls are currently a tad broken in reference to what's being bestowed. Name of item might say Offensive but stat will say Armor, but it will work only on a weapon. Just try a few out, they're free anyway for testing purposes. We'll figure out the reference mistake in the next patch. Katar Upper - Updated to use Critical Defense Down, instead of Critical Down. Critical Weakness - Updated to use Critical Defense Down, instead of Critical Down. Fixed issue with not being able to move in Junon Cartel. Charm needs to effect more than just buffs, heals, and MP recovery for clerics.... farthermore, clerics are completely and utterly useless in a TG fight.... why does a cleric have no ... skill to help negate the effects of an aura blessing? Clerics... while I understand feuer wants them to be completely and utterly useless, I personally deeply believe that.... one cleric... in a 5vrs5, really should be the difference between win or loose. What changes does this beta server even support that would interest me, to even have me bother, is my question? Edited by Zurn, 03 October 2015 - 06:55 AM.